Hi! 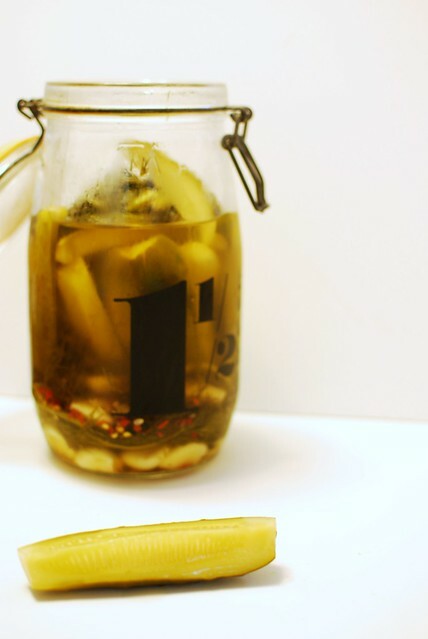 Have you made pickles before? I hadn't and it turns out they're so easy. Who knew? Alex and I have a CSA membership and got a whole pile of little pickling cucumbers. I used this recipe from Epicurious, and these are delicious. Cut up the cucumbers into whatever pickle shapes you want. If your jar is big enough, you can leave them whole, or slice into spears or rounds or whatever. Combine vinegar, water, and salt in a pan and bring to a boil. Stick the dill, garlic, pepper flakes, peppercorns, and cucumbers in your jar. Pour the hot pickle juice over the top and stick your jar or soon-to-be pickles in the fridge. 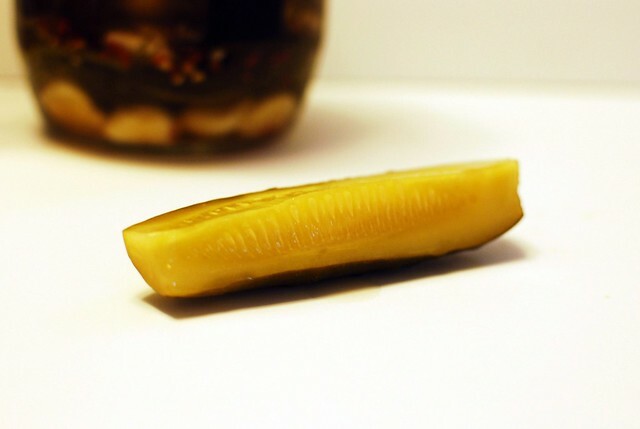 In about a week, you have pickles! Hooray!